I remember my 8th birthday party like it was yesterday. My friends gathered around our oak kitchen table, an appropriately lit yellow cake with chocolate frosting approached, singing commenced, and then, the dreaded camera lurked its way around the corner. It was then I got up from my seat, ran outside in the cul-de-sac, and waited for it all to just… stop. Clearly, I’ve never been a fan of being the center of attention. But, let’s face it. 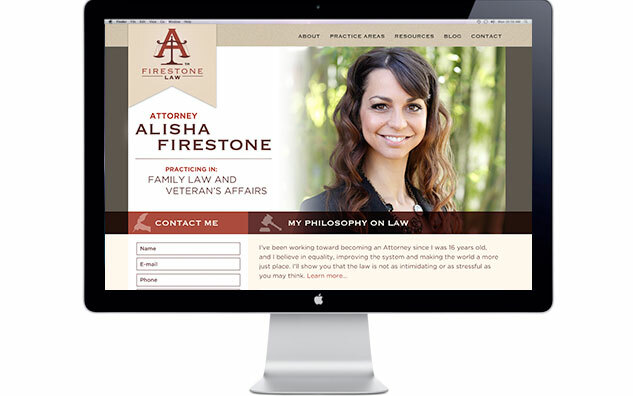 Oftentimes, the first place that people get to find us and our businesses is by our digital storefronts online. That’s right. Our websites. 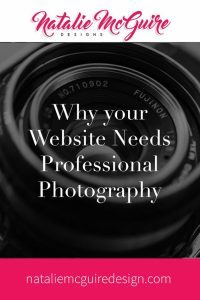 If you’re selling a professional, personal service, where you’re working directly and one-on-one with your clients, you’ll need to invest in some quality photography for your website, blog posts, whatever. 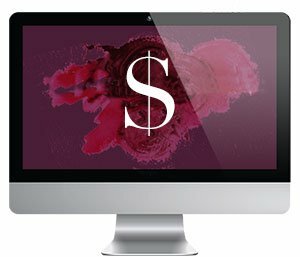 Well, professional, high-resolution images showcasing your personality, your workspace, working with a particular client, showing the process of your services, etc… set you a part from your competition by conveying your unique individuality and approach to your work. 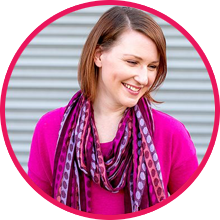 It gives your potential clients and customers a chance to really get a sense of who you are since they’ll be working with you in a close, long-term relationship. In short, it pays to let your customers peek behind the proverbial curtain so they can take you for a test drive. Let’s kick this party up a notch. Who in the world today hasn’t seen websites that do this?! From the ubiquitous business-men-shaking-hands to the random-mountain-climber stock photo, I’m gonna go ahead and say something few people will: These are both crap. Also? They make me want to roll my eyes so hard that I’d get a nose bleed. Utter hatred aside, sure, these photos were taken by a professional. Yes, they both are high-resolution images, and uh… have colors in them that kinda-but-not-really match the surrounding design of this website. But! What makes them so terribly horrible, is the fact that they’re not personal to Alisha, and they’re not relevant to her or her business. To that I reply, no. No they do not. What they do say is that you’ll be working with an Attorney that you’ll never see, and never get to know. They might *get* you, but they might not, and they might specialize in business lawsuits or environmental law. The message is now confusing because the images no longer make sense, and worse, these websites now look like a backdrop for a Jack Handy quote. Now that you know you need photography, I have a recommendation! She’s my fellow ginger-in-crime known as Jessica Hill Photography, and she’s my number one recommendation for all things photos. Jessica was voted Oregon’s best photographer for 2013–need I say more? Though she normally does weddings and boudoir photography shoots, she also does business headshots, and I’ve had the opportunity to be photographed by her numerous times now, here and here. If you’re a Portlander, book her and book her now. Also? She did Alisha’s photo above, too. Oh, and laaaaaaadiez!!! If you want to be sure to look your very best in front of the camera, you may want to invest in an awesome hair and make-up artist to fully capture your personality and style for the camera. I highly recommend my gal pals over at Kirstie Wight Makeup and Nicole Wagner at Powder Inc. Both of these uber-talented gals have a range of distinct makeup styles for even the most discerning tastes, and you’ll leave looking flawless, heart-stopping, and with a new friend. They’re both as sweet and as awesome as they can be! So, you’ve booked a killer Photographer, the date is on your calendar, now what? From your clothes, to your hair, to your make-up (if applicable), get your style on! This doesn’t mean to head to the mall and spend thousands on a new wardrobe, but it does mean to start thinking about your personal style and how you want to be perceived. Think about choosing clothes/hair/make-up that’s comfortable and authentic for you and speak to your personal style. Whether that’s pink hair and ripped jeans or a Hilary Clinton-style pant suit, chose items that make you feel your best and showcases your personality and individuality. 2. Think about your environment. Are you a standing in a field of flowers kinda person or against a graffiti wall, under a bridge in an urban setting kinda person? Perhaps you’re most comfortable working in a bustling coffee shop or in your funky office with your dog on your lap? Whatever the case, think about locations that represent the nature of your business well, and again, speak to who you are as a person. 3. Talk specs with your Photographer. Personally, I’m not a huge fan of overly-posed positions or super-cheesy smiles. I’m more of a candid photography girl where subjects are in mid-laugh, mid-talk, mid-interacting-with-the-world around them. Again, think about the kind of images you’re going for, and better yet, create a Pinterest board of photographic styles you like to arm your Photographer with some examples of what you’re going for. Additionally, be open to your Photographer’s feedback and expertise. They’re professionals, and can help you get the best results possible. As with most things in life, photo shoots can be as fun or as miserable as you make it. And I promise, at the end of your shoot, I’ll be waiting for you in the cul-de-sac with a saved piece of cake.